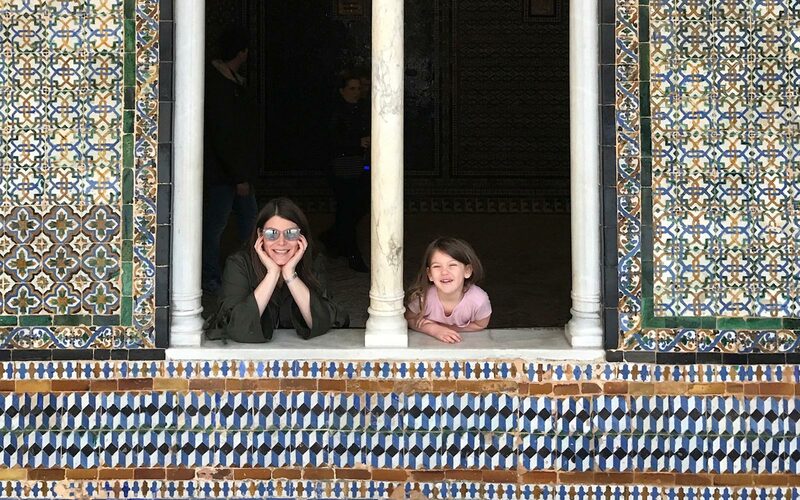 Top Chef judge Gail Simmons takes her husband and daughter on a spin through Madrid, Málaga, and Seville, snapping plenty of photos along the way. Gail Simmons, television personality and author of the new cookbook Bringing It Home, first visited Spain almost two decades ago. "I studied in the south when I was 21, and always wanted to go back to that part of the country with my husband, Jeremy," she says. When the couple learned in September that they were expecting a second child, they planned a getaway with their four-year-old daughter, Dahlia, combining city strolls in Madrid and Seville with resort relaxation in Málaga. "Especially in Andalusia, the gastronomy is so simple and beautiful," says Simmons, who kept Dahlia on East Coast time so that they could experience Spain's late-night dining culture as a trio. "We'd take her on a tapas crawl and let her sleep late. She is a great traveler. I love the fact that she has no fear." "We landed in Madrid on Christmas Day. It was a magical time to be there—the holiday lights in Spain blow away any on Fifth Avenue in New York. That day we went to the city's oldest churro shop, Chocolatería San Ginés. It's a wonderland. The chocolate is so rich, and they have this amazingly decadent cake. My daughter got way into it, of course. 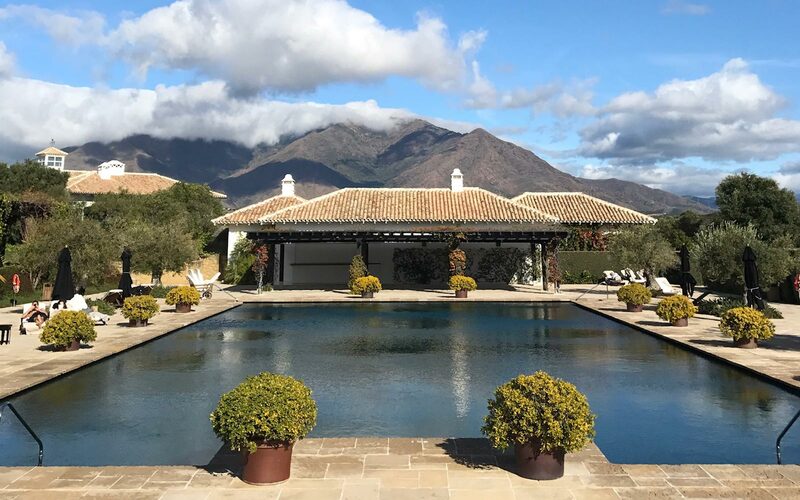 In Málaga, we stayed at Finca Cortesin (above), a resort unlike any I know. It's up in the hills, with stunning views. We'd spend every morning in the pool—Dahlia could swim for hours." "Our last stop was Seville, which is just as wonderful as I remember—there's so much to explore. It's full of Moorish buildings and beautiful homes. We loved touring Casa de Pilatos (above), a 16th-century palace with incredible gardens. We'd often go to tapas bars like Salsamento and get tins of anchovies or sardines, a little cheese, and chorizo or jamón. It's the perfect traditional Spanish lunch."